The sophisticated readers of Condé Nast Traveler magazine have chosen Crystal Cruises’ fleet as 2012’s top mid-sized cruise ships. The February issue’s list of “Top 100 Cruise Ships in the World”—up from 80 last year–ranks the 1,070-passenger Crystal Serenity and 922-passenger Crystal Symphony as the number one and two vessels, respectively, in the medium category. Of the seven criteria upon which ships were rated, Crystal won more areas than any other small, medium, or large cruise line. The ultra-luxe company ranked highest of all ocean cruise lines in Design/Layout, and further dominated most criteria in its size category, including Crew/Service, Food/Dining, Activities/Facilities, and Shore Excursions. Crystal’s passion for taking care of guests in an inviting environment of extraordinary space, quality and choices has earned the company more “World’s Best” awards than any other cruise line, resort, or hotel in history, including Condé Nast Traveler readers’ “Best Cruise Line” (Mid-Sized) honors in fall 2011. 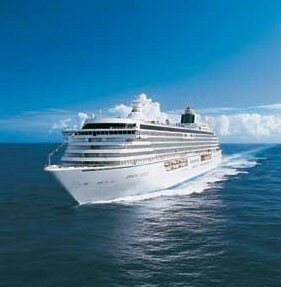 In 2012, Crystal Symphony and Crystal Serenity visit 182 ports-of-call in 59 countries on 60 worldwide itineraries worldwide. Voyages this year include 25 seven- to 15-day, all-inclusive cruises visiting the western and eastern Mediterranean (including the Black Sea) from March through December, as well as seven to 94-day sailings through the North Cape, western Europe, Baltic & Russia, China, Japan, southeast Asia, Australia, South Pacific, South America, New England/Canada, Panama Canal, British Isles, Canary Islands and Mexican Riviera. Until February 28, “Book Now” fares start at $1,360 per person/double occupancy, with additional savings available for groups of six or more, new-to-Crystal travelers, and combining cruises. Attractive air add-ons are also offered from more than 90 North American airports. This entry was posted on February 16, 2012 at 4:41 pm and is filed under best in travel, cruiselines, cruises, cruiseships. You can follow any responses to this entry through the RSS 2.0 feed. You can leave a response, or trackback from your own site.